Driving while intoxicated is a serious charge. It is an act that endangers not only the driver but anyone else that has to share the road while they are impaired. The Highway Traffic Safety Administration estimates that forty percent of U.S. traffic deaths are alcohol related. It is fitting that the penalties when found guilty in a court of law can be severe and have long-term effects. Your case will be unique to your own particular circumstances. However, due to the long-running implications that DUI/OVI charges pose, it is always wise to consult with knowledgeable DUI attorneys, like the experts at Ziccarelli and Martello. Here are some fundamentals you should always bear in mind when facing potential DUI/OVI charges. It was not until 1938 that authorities had the technology to determine a blood alcohol limit. Indiana was the first state to adopt a limit, which is nearly twice the current legal limit. In the past, states were allowed to determine their own blood-alcohol concentration limits as long as they did not exceed 0.15 percent. Starting in 2000, the U.S. Congress now requires all states to comply to a uniform blood-alcohol limit of 0.08 percent. Any motorists that register above this number when tested on a breathalyzer will be considered over the legal limit and summarily arrested and charged with driving under the influence. Once someone enters a plea of guilty for a DUI/OVI charge it is very difficult, if not impossible, to withdraw or change it. Due to the severe consequences that come with a DUI/OVI conviction, it is strongly suggested that you consult with an experienced attorney to explore all of your options. It is important to remember that Ohio law employs an “implied consent” law. Implied consent means that if you are arrested by a law enforcement officer that believes you have been operating a motor vehicle under the influence then you consent to taking a chemical test of your blood, breath, or urine to determine your actual blood alcohol content. A refusal to commit to testing will not be considered an admission of guilt but may result in an automatic suspension of license. 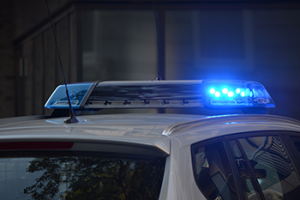 Due to Ohio’s implied consent law, you are required to consent to an officer’s request of a breathalyzer test upon the suspicion of intoxication. There are times when refusing a breathalyzer can be in your best interest when you consider that the penalty for refusing implied consent laws like taking a breathalyzer are often less severe than that of a drunken driving conviction. If you are certain that you are over the legal limit for blood-alcohol at the time of your initial questioning it may prove a lesser of two evils to refuse to take the breathalyzer. Again, this alternative comes immediate consequences that must be taken into account before your refusal becomes an official matter of record. DUI/OVI charges can hold significant weight upon one’s future. The danger posed by the crime reflects the severity of its long-lasting penalties, making the need for expert counsel all the more critical. The attorneys at Ziccarelli and Martello possess years of experience in DUI/OVI defense and will work to retain your driver’s license and avoid a criminal record whenever possible. All initial legal consultations with us are 100% FREE. Call us, toll free at 800-203-3110 and let’s discuss, one-on-one, what’s best for your future.